Join us in our new jewel box space with a stunning view of the city we love. Our antique jewelry dealers will be on hand with their just back from Europe collections. 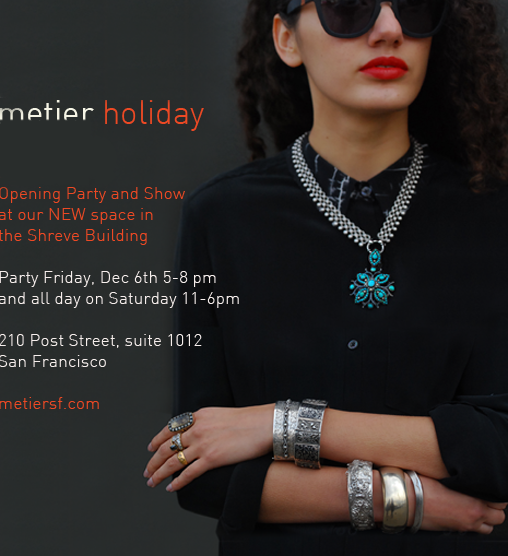 We'll also have contemporary jewelry, accessories and beautiful knits.